Usability testing is the most common technique from human center design to check how usable your interface is. The power of this qualitative technique is that it focus on what the user do and not what the user say. Usability testing reduces the risk of building the wrong thing. It saves money, time and other precious resources. It finds problems when they are still easy and cheap to fix. When a designer is working on some assignment, he’s so close to the solution that it that you may not realize that something could be improved by performing proper usability testing. 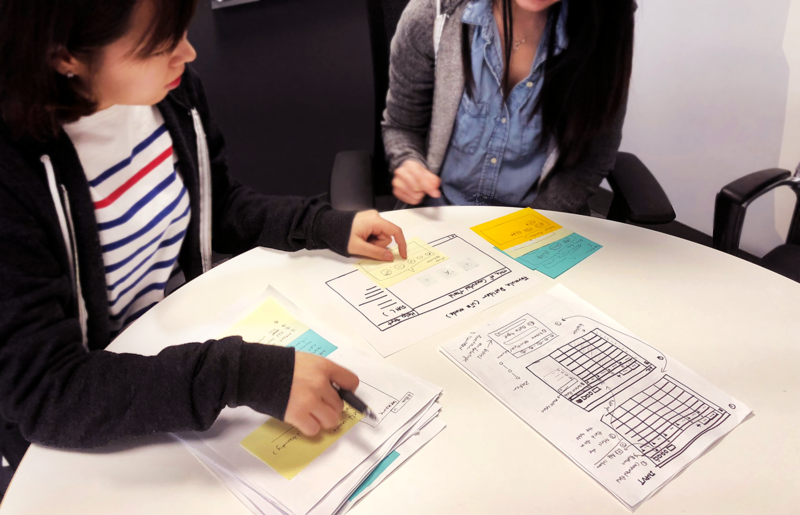 The usability testing is an iterative process, it’s not one time blessing, you need to repeat the process until the design is not confusing anymore and your users are able to achieve the scenarios you propose. Creating the test plan is the initial activity you need to perform to do a good usability testing. These following tasks are the ones you need to do before facilitating a test session. You need to decide the areas that you want to test. Try to think big, list all out and then refine. You should have no more than 12 tasks to test. Recruiting users is a key activity of this initial step. Recruiting can be performed according to their demographics (age, where they live, etc.) or psychographics (cognitive background: if they’re used to perform the proposed scenarios). Ideally you will recruit considering both aspects but take into account that psychographics can get you more relevant insights about the usage and adoption of your solution. ok, but how many user should I recruit? If you want to understand how users behave and gather quick insights then 5 users per segments should be ok. Also for Lean UX this is recommended. Identify what you want to accomplish with this test, what you are looking for, what you want to demonstrate to your stakeholders. ok but what kind of metric I would need to consider? Time on a task, task performance, success rate, speed, goal fulfillment, expectation matching are the most common ones but there are many more it will depend on the need of your project if you select one or another one. Keep test environment as realistic as possible, don’t try to minimize distractions. Last but not least remember that it’s not about what we think of what’s a good user experience it’s about how the user perceives the solution so keep your mouth shut, relax and listen. ok but what kind of prototype should I test? It could be lo-fi wireframes as well as hi-fi wireframes it doesn’t really matters. In fact it will depend on the objective you define to be tested. I would personally recommend as early as possible so a lo/mid-fi wireframe should provide good insights to your project. Once you’re done with all your testing sessions it’s time to sit, analyse the information and jump into conclusions. There’s no common rule to do this but when you have all the information in place you need to look for common patterns and look for the trends that emerge and make notes of the possible problems. Background summary: Brief summary of what you tested, the testing team, the material that was utilized and a brief description of all your findings, the goal of the session. Methodology: explain how the sessions were done, the tasks or scenarios that were tested, the metrics you selected and a brief description of each segment of users. Test results: summarize all the results from the metrics you have chosen. Our old friend Ms Excel can be really useful to summarize all the information. Findings and recommendations: List all your findings (positives and negatives). Positive findings will help the team to know that they’re on the right track, for negative finding provide proposals to solve them. Remember that usability testing it’s not to prove that you make the right decisions but to learn how your users perceive and use your product and also it’s cheap, saves time and money.